In 2015 and 2016 our local pair did not breed successfully. 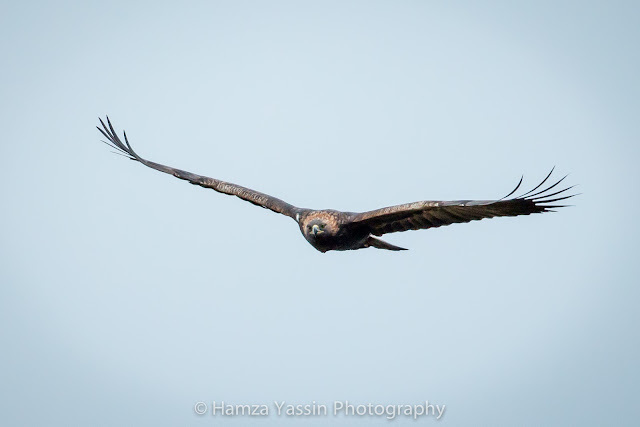 Hamsa, who has been monitoring these birds thinks that their lack of success in the past has been due to poor nutrition and that the provision of carrion as carcasses in Winter / Spring this year was a factor in their success. This has perhaps the added advantage of diverting the birds from killing live lambs during lambing. There has been some speculation about the possible effect of inter-specific competition between Golden eagles and Sea eagles and the effect that this might have on Golden eagle populations and breeding success. Research in Norway has shown that despite the Golden eagles being smaller, they dominate Sea eagles when in direct competition for carcasses. In Scotland however, inter-specific competition may play a role the numbers of both species in future when territories overlap and food is scarce.